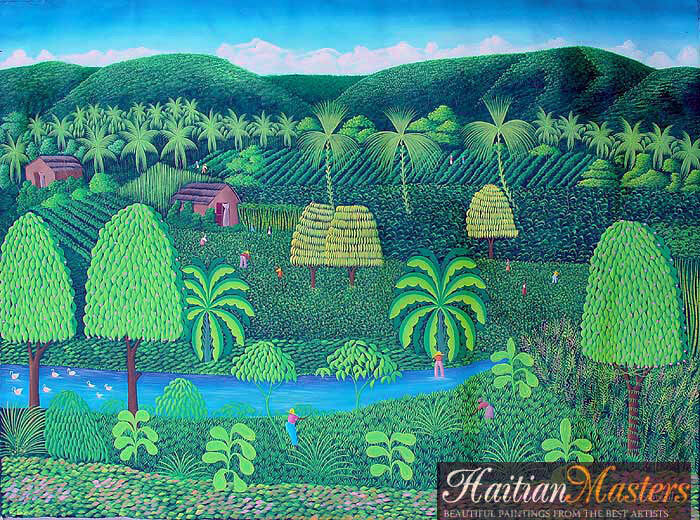 Henry Robert Bresil, HR Bresil, Haitian Masters , Haitian Paintings , Haiti Paintings , Haiti Art , Haitian Art ! 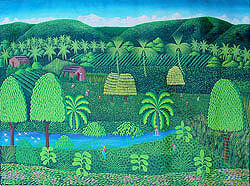 Born in Gonaives on September 19, 1952, Bresil moved to Port-Au-Prince in 1973. 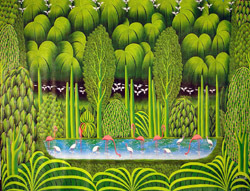 Very talented, he impressed his peers with his techniques. 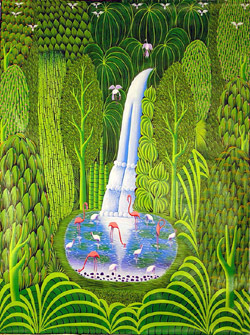 He won the Ispan-Unesco prize in 1981. 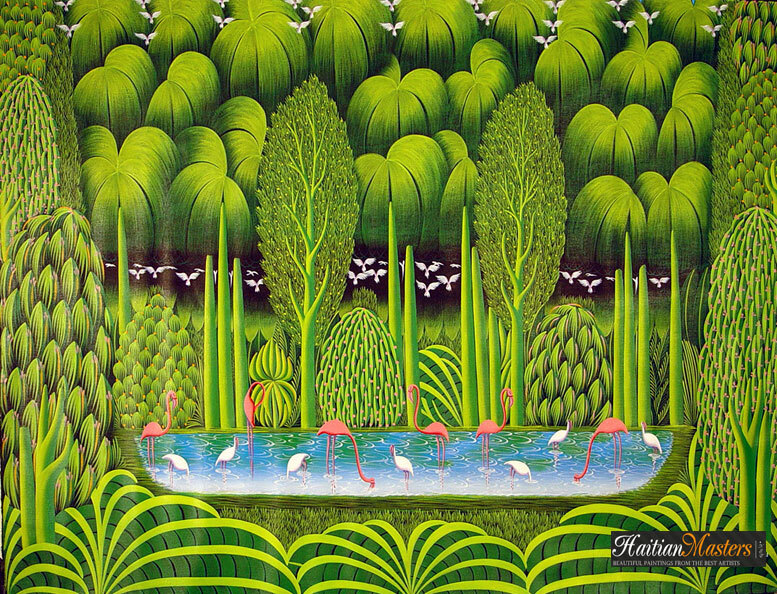 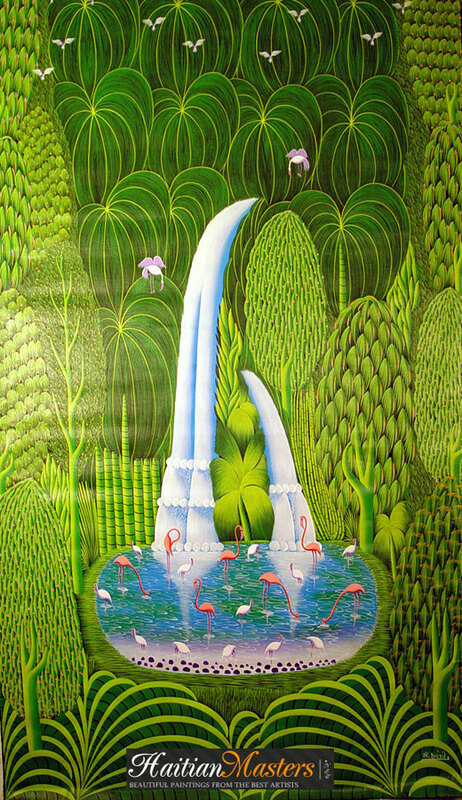 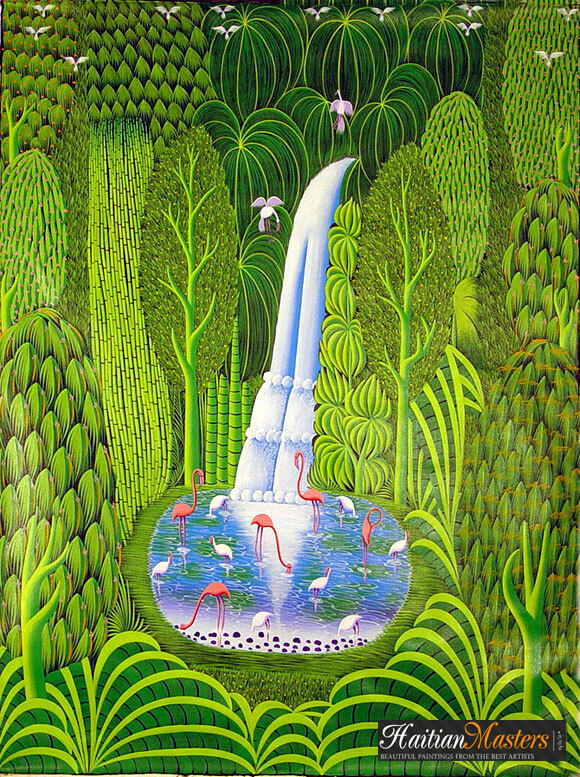 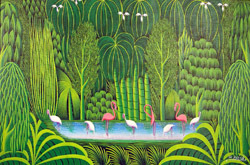 Collectors love his "Green Jungles" and art lovers can merely get enough of his "Flamingoes". 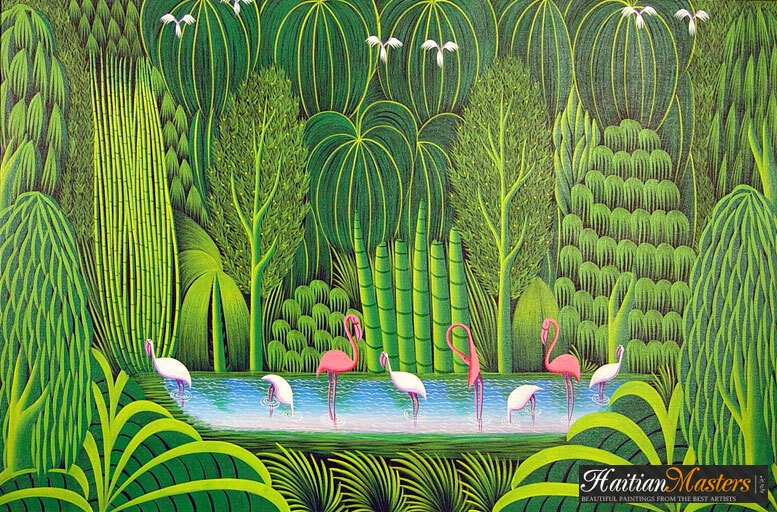 Bresil has had many exhibitions in Haiti, Japan, the US, Italy, Puerto Rico, Switzerland etc. 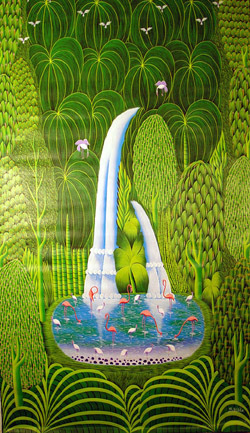 Many newspapers and magazines have praised his work including Hostess Magazine, the New York Times and the Miami Herald.